In January this year, punk rock fans were greeted with some exciting news when it was announced that a new iteration of Black Flag was set to return for their first live performance in more than 5 years. This week, the latest edition of the iconic punk band have announced a massive US tour that will also be followed by a European and Japanese tour. 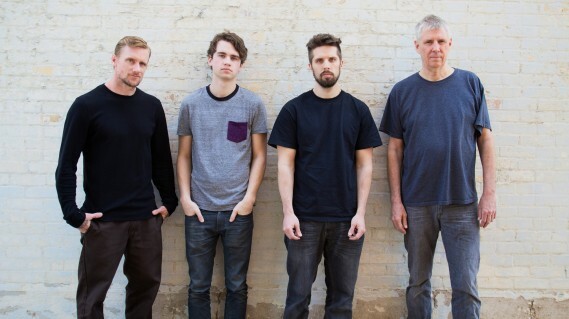 Black Flag consists of Greg Ginn, Mike Vallely, Tyler Smith, and Brandon Pertzborn. As BrooklynVegan states, they should not be mixed up with FLAG, past Black Flag members Keith Morris, Chuck Dukowski, Bill Stevenson, and Dez Cadena, as well as Stephen Egerton. Interestingly Vallely is also a professional skateboarder and TV personality, and had sung at some of Black Flag’s live shows before becoming the permanent lead singer. Black Flag’s massive 2019 begins on April 6 at the Sabroso Festival in Dana Point California. The tour will span all the way until November 4, ending at the Harbor Studio in Hyogo, Japan. They will be hitting some notable spots like Brookyln Bazaar in Brooklyn, New York and Aces Of Spades in Sacramento, CA, as well as some festivals including Sabroso Festival and Sylak Open Air in France. Check out the full list of dates and locations below.